If you missed or were not able to attend our webinar or just want to listen to it again, the recording is now available for viewing. The slides are also available to refer back to. 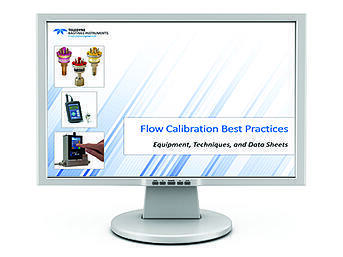 This webinar was suited to those who wanted to learn about Flow Calibration Best Practices: Equipment, Techniques and Data Sheets. Jamie Shanahan, Applications Manager for Chell Instruments joined in to this webinar as well. To access the recording and slides, please fill out the information on the right.